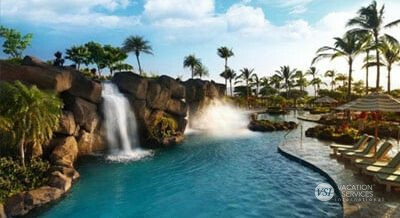 When you stay at Kohala Suites by Hilton Grand Vacations, explore the many amenities within the Hilton Waikoloa Village. Get around the resort by Swiss-made trams and see the Island’s unique wildlife on a complimentary Canal Boat way cruise. From a four-acre ocean-fed lagoon and 3 sparking pools, to the world class Kohala Spa and Legends of Hawaii luau, to dolphin encounters and two championship golf courses – there are endless adventures that await.